Nvidia, the American technology company, has been designing graphics processing units (GPUs) for gaming and professional markets. What has made Nvidia even more special is the way it’s perfect for mining cryptocurrencies. Nvidia’s technological advancements in terms of supercomputing are ideal for mining cryptocurrencies. The plus point of Nvidia being a reputable brand that is very safe puts it on the top of the list of hardware required for cryptocurrency mining. In CNBC’s show “Mad Money,” hosted by Jim Cramer, the founder and CEO of Nvidia, Jensen Huang, elaborated on the importance of cryptocurrency. The Taiwan-born American entrepreneur explained the link between cryptocurrencies and Nvidia. “Blockchain’s going to be here for a long time and it’s going to be a fundamental new form of computing. I expect blockchain, I expect cryptocurrency to be an important driver for GPUs,” he told Cramer. Nvidia’s reliance on the gaming business, data center industry, and autonomous car driving is a good advantage with Bitmain raising the bar in cryptocurrency mining. Bitmain, which specializes in digital currency mining chips, is reported to have developed an ASIC (application specific integrated circuit). Bitmain, as of now, is dominating the Bitcoin industry with their specialized ASIC. Analyst Christopher Rolland believes that Bitmain’s specialization will hurt manufacturers of PC graphics cards, such as Nvidia, which account for 10% of their revenues with cryptocurrency mining. 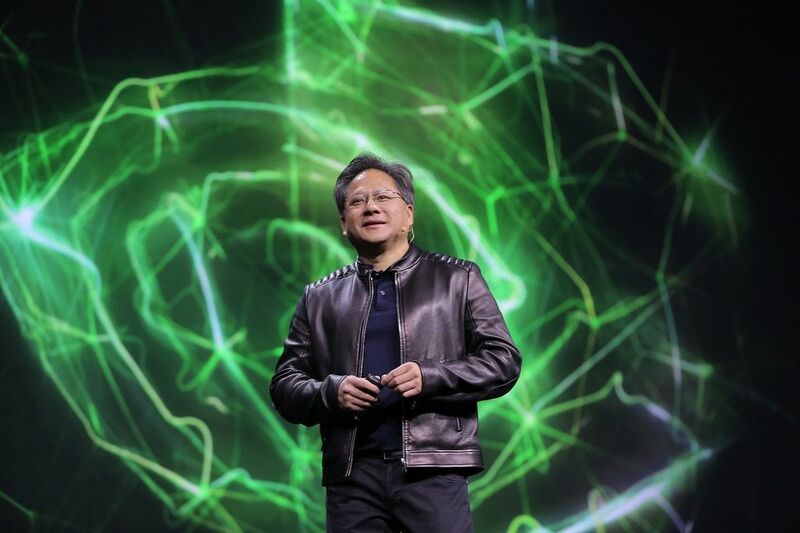 Huang, the CEO of Nvidia has studied cryptocurrency mining thoroughly, which has helped him put Nvidia in the forefront of GPU mining. He understands that Bitcoin mining is executed by using ASICs and so Nvidia can only help mine Ethereum. However, reports have been released that a leading Wall Street research firm has slashed price targets of Nvidia, having received the confirmation of Bitmain producing Ethereum ASIC miners. Last year six percent of GPU sales were accounted for by cryptocurrency mining, and this is bound to grow this year. Nvidia has an important role for Ethereum at this point in time and will need to be as competitive as ever to challenge the competitive Bitmain.